We all know that Christmas is fast approaching (7 more sleeps to go!). Everyone's already rushing to the nearest mall or traveling all the way to Divisoria just to get their last minute yuletide hauls. But for those who may want to save on both time and energy, online shops are always the best go-to alternatives. Just consider Lazada Philippines for example --- one of the fastest-growing online shopping sites in the country today. Lazada offers a lot of cool and affordable products, which ranges from the latest gadgets, best deals on books, unique home & living items, child-friendly toys, hip fashion accessories, travel gears and more. So when I found out that Lazada hosted an array of travel goodies, I immediately browsed through their hundreds of items. And lo and behold! I found some of the nicest gift ideas for travel aficionado family and friends. I'm a big Deuter fan! My boyfriend actually owns a Deuter Rucksack. So this could definitely help complete his travel gear. For only P880, you already get to have a quality-made bag that's created with a Microrip-Nylon/Ripstop 210 material. 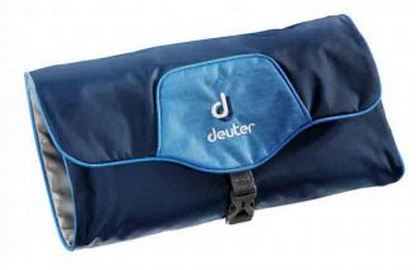 With its roomy interior, the Deuter Wash Bag II Black Moss can fit your usual travel kit loot. 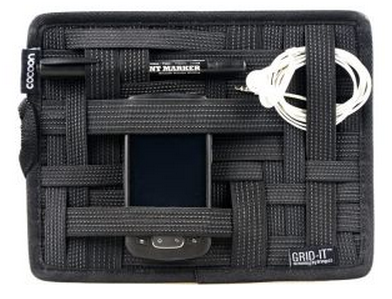 Other than being small and lightweight, it also provides mesh and zipped compartments. I'm a sucker for locks! Whenever I travel, I always make sure that my TNF Rucksack or my Jansport backpack has at least a few locks to go on every zipper tab. The things that I bring when I travel are precious to me. That's why keeping the contents of my carry-on secured, always comes first. 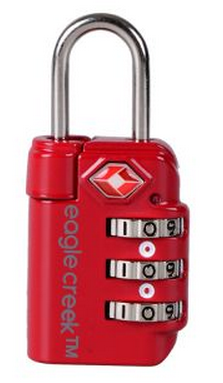 So gift your loved ones with an Eagle Creek SecurIty TSA TravelSafe Lock/s. Your Travel Sentry certified and key-less lock already comes with a 3-dial combination. Surprise your travel bug loved ones with this awesome gift (keeps your bag safe from luggage swindlers and zipper malfunctions). 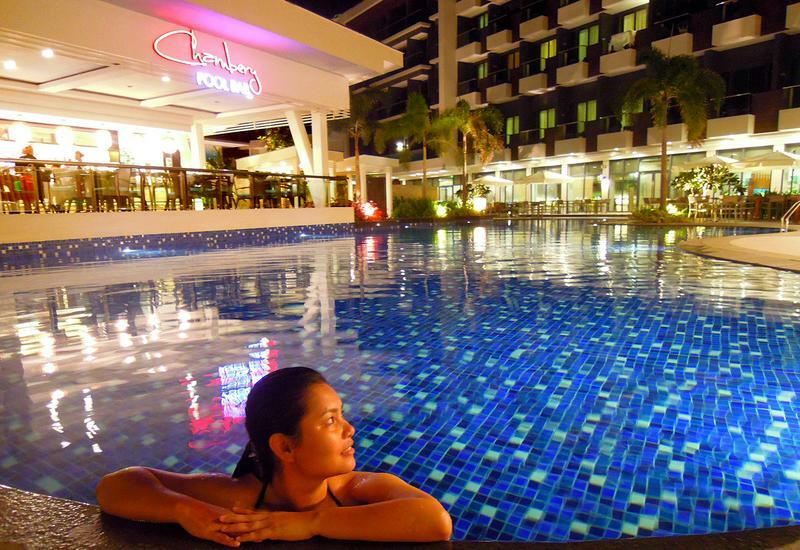 If you're not the backpacking kind of person, then this one's for you. 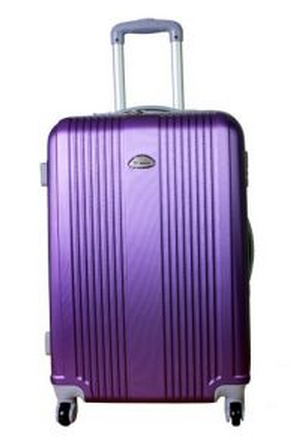 This small Racini Purple Hard Case Luggage can fit up to 7-10 kilos worth of stuff. Given its hard case material, the Racini case also features a 'Four 360 Degree Revolving Wheels' (no more hassles when pushing and/or pulling your bag!). This vibrant-colored case also offers a built-in combination lock. So it's a carryall that you'll no longer have to worry about, since it'll keep your stuff safe and intact. Other than that, the Racini luggage also boasts as the perfect carry-on --- especially when traveling with kids. 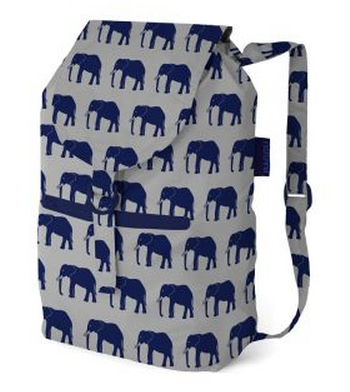 You will never go wrong with a Baggu Daypack Elephant Backpack! I particularly love the print, let alone the color combination. So this is a winner for me! I can actually see myself buying one for me and my cousin (who religiously collects elephant stuff). 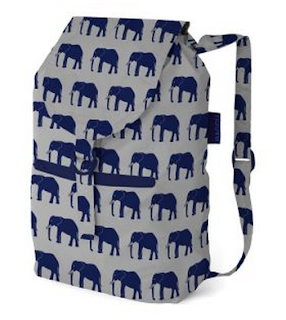 The Baggu Daypack Elephant Backpack is made out of a Ripstop nylon material. It can also be folded into its own pocket, which is handy by the way! Not only that, this cute carryall can also hold up to 10 kilos worth of stuff! And if that's not enough, you can always rely on its inner drawstring closure and outer snap and buckle for that added protection. It's a lovely and uniquely-designed knapsack that is perfect for day trips and weekend strolls. 5) Cocoon Grid-It! Medium Organizer (Black) - PHP990 - Organization Redefined! I could definitely see myself buying a Black Cocoon Grid-It! Medium Organizer. Not only does it look aesthetically good, it also features a very versatile organization system. The organizer is ideal for keeping gadgets (such as your iPhone, Blackberry or Android phone) and other digital devices firmly in place. And for a price of P990, you also get to have a "Configure GRID-IT your own way" feature. Click here for more info. Lazada has so much more to offer! Not only do they sell some of the best items online, they also offer their customers the option of paying 'Cash On Delivery'. Free Shipping is also granted, as well as 7-Day returns. So what are you waiting for? 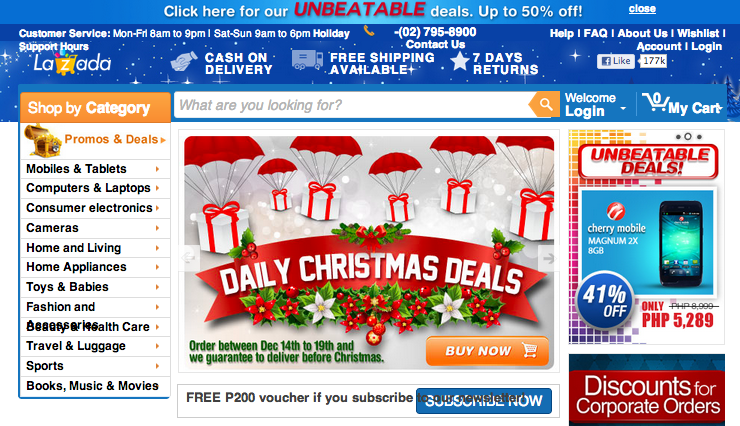 Cross out every name on your Christmas list by shopping at Lazada Philippines today! You'll surely get something from this online shop that's truly worth your time and money. timing post dear. I came across Lazada just a week ago coz until now i still have not done my Christmas shopping. busy busyhan mode pa rin haha. Merry Christmas to you and Happy New Year of sweet travels and blogging! I didn't know Lazada is an online store. It sometimes shows up as an add to my site and to others as well but never had any slightest idea it was a store that sells these travel gears. Perhaps it's a good start now to try ordering. I think I need that small Racini Hard Case Luggage too. That would be perfect for a light travel. I keep on travelling with my backpack but sometimes it is not enough sa sangkatutak kong gamit. Or maybe I can get the Baggu Backpack din, traveling in style. I like luggage bag it is simple and cute. You got a perfect a deal for 2k travelling bag. That baggu daypack made me drool.. lol! I've been hunting bags for a few weeks now. My Sandugo Adventure pack is just too big for an overnighter and day hikes. The only store I've seen it by far is in Divisoria, a Military Apparel shop. You just gave me the idea of trying online instead. I haven't tried shopping on-line from Lazada because I thought they only sell shoes, good thing you shared this post and I'm interested to buy that purple luggage bag for my scheduled travel next month. Lazada's online shopping solution really helps especially since shopping can lead to more impulse shopping and also saves a lot of time. I do have a black TravelSafe lock that I bought from one of my friends at Tambay. I do sometimes travel alone and I never forget to place locks on every zipper of my bags for secure travel. Next year na lang, tapos na Pasko.. lol.. Good travel stuff you've got. I wonder kanino kaya naibigay ang mga iyan? Lazada, I'll remember you now. Ang cute naman ng mga travel picks mo! I also want to have the hard luggage! Those items ... really pretty ones without the need of paying so much. Good for you. Smart move. I have never heard of Lazada until now and will definitely recommend this to my brothers and mom back home. I haven't tried purchasing from Lazada but may try to do so as they have a wide range of stuff. Cool! I want to have the last one. That organizer seems so hip and cool. Well, you can always check the price for your preference. I already posted the price on the subheads anyway. Bigyan kita gift sa Christmas party soon! heheheh! Oh, do share the good news..hehe! 2012 Travels: Looking Back. Looking Forward.